Studios like Disney and Dreamworks were big parts of nearly everyone's childhood. Growing up, it’s easy to remember all of the animated and live-action adventures they gave to generations of kids to be inspired and live their dreams. But there were also a few animated movies from other studios like Warner Bros. don’t often get the recognition they deserve. They’re beloved by an underground legion of fans and have quite the underrated reputation. Cats Don’t Dance has to be one of those movies. It was one of my all-time favorites as a kid. My aunt and uncle knew every time I came to their house and it was my turn to pick the rental movie what I was going to get. Some odd years later, I still love it. Since Cats Don’t Dance has hit the big 2-0, we’re gonna celebrate why it’s one of the best, underrated kids movies still sticking around. Have you seen Cats Don't Dance? Feel free to share in the comments! Set during the classic Hollywood age, a small-town tabby cat Danny has his eyes set on Hollywood with his name in lights. As soon as he touches down in La La Land, he realizes that studios don't hire animals as performers. They just moo, woof, and meow on cue. When he inspires other downtrodden would-be mammal stars to fight for their rights, they face off against cinema’s darling Darla Dimple – a fame-obsessed Shirley Temple-esque child star. The story sweeps you off your feet and makes you believe you don’t have to do what other people say. 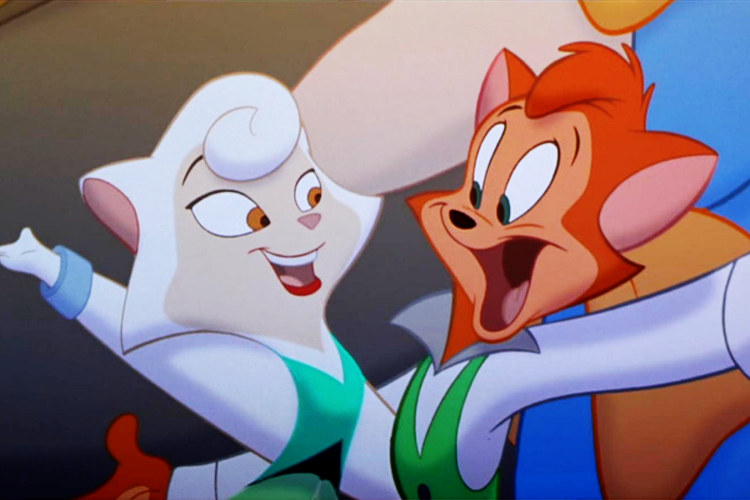 Before Zootopia, where a cat and fox’s quest to solve a missing animal’s case reflects racism in the real world, Cats Don’t Dance tackled similar social issues. Danny and his friends – a frumpy turtle, smoky fish, and vivacious hippo – are talented but they have zero chance at success from a system that judges them by their looks and them as a species. During the 1930s, it was impossible for African-Americans in cinema at the time to be cast in roles other than stereotypes or extras. Either indirectly or intentionally, the movie has drawn praise for its allegory of segregation and racism. As the characters are determined to break barriers, it’s a great example of how far film and society has come and still needs to go. Cats Don’t Dance has an impressive list of voices behind their characters, and it's easy to fall in love with them. Scott Bakula (Star Trek: Enterprise) wins you over instantly with Danny's huge heart. Jasmine Guy (The Vampire Diaries) brings a soulfulness to Sawyer, who was once a big star but was forced to become a secretary. She's realistic, a bit jaded from her dreams falling apart until she realizes she can do and be more. Also, Ashley Peldon (Ghost World) makes Darla Dimple a sugary-sweet psychopath. And then there's Kathy Najimy (Hocus Pocus), John Rhys-Davies (literally everything), Don Knotts (The Andy Griffith Show), singer Natalie Cole - to name a few. Classic Hollywood fans will enjoy the easter eggs from Tex Avery's caricatures to subtle jabs at the studio system. Some characters are parodies of famous Hollywood legends like "L. B. Mammoth" is a take on Louis B. Mayer, head of Metro Goldwyn Mayer. "Darla Dimple" is a deranged version of Shirley Temple if her star power went to her head, and her butler Max plays off of Erich von Stroheim's sinister character Max von Mayerling from Sunset Boulevard (1950). And before graphic designers were replacing movie posters with Disney characters, there’s a great montage of famous classic movies if they starred animals instead of humans. For a contemporary movie, especially one aimed for kids, it doesn’t feel like a product of the 90s when it was released. Rather than replicating the big studio 1930s musicals, the movie is a 1930s musical. Not only is Danny’s dreams and personality larger than the life, but so is the animation and soundtrack, which takes you straight into the heart of the early technicolor musicals: theatrical, splashy, vibrant. It's a musical filled with romance, comedy, and adventure. 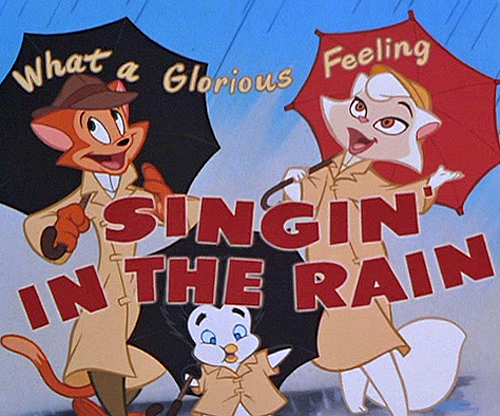 A big source of inspiration for the movie was Gene Kelly, who was the choreography consultant, and this movie as his last film credit. The characters engage in a lot of slapstick comedy and dance their hearts out. Because of him, every musical number is a reminder of that golden age of musicals with Danny sprinting into tap-dance routines, and even soulful numbers sung by Natalie Cole. And if you fall in love with the soundtrack, it might be because Disney icon Randy Newman wrote the songs. It’s impossible for this movie to not get stuck in your heart or get your feet tappin’.